Sean Rafferty's guests include sitar player Nishat Khan, composer Anthony Payne and singer Joe Stilgoe. Plus a performance from the first BBC Introducing Classical Showcase. Sean Rafferty's guests include sitar player Nishat Khan ahead of his appearance at London's Barbican. 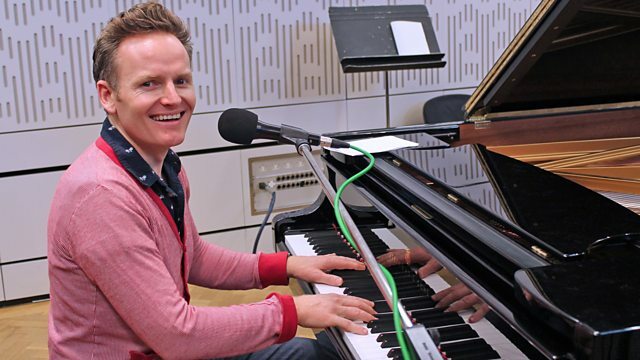 Anthony Payne tells us about his new work being performed at the BBC Proms, plus musical mastermind Joe Stilgoe will be performing live in the studio. Plus a chance to hear performances from the first BBC Introducing Classical Showcase recorded at Cheltenham Music Festival and featuring Iosif Purits (accordion); Maria Razumovskaya (piano) and the early music ensemble, Blondel. Singer: Núria Rial. Ensemble: L’Arpeggiata. Conductor: Christina Pluhar. Orchestra: Houston Symphony. Conductor: Andrés Orozco‐Estrada. Antonin Dvorak Symphony No.6 2 Slavonic Dances. Performer: BBC Symphony Orchestra. Performer: Sir Andrew Davis. Performer: Julien Chauvin. Orchestra: Le Cercle de l'Harmonie. Conductor: Jérémie Rhorer. Mozart: Symphonies 25, 26 & 29: Le Cercle de l'Harmonie/Rhorer. Paris 1920: Orchestre de PAris/Semyon Bychkov.